The Fulcrum is part of our Modern Section and is one of our newer, more cost effective pieces. 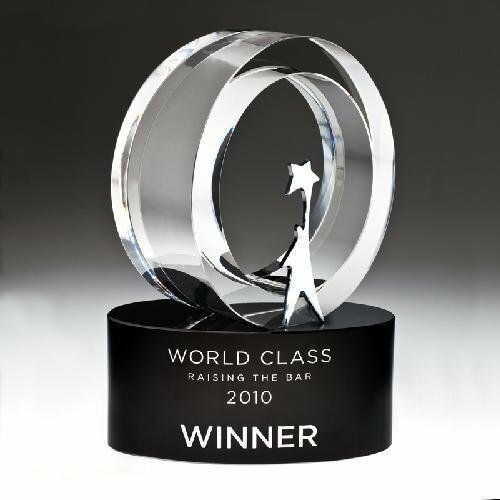 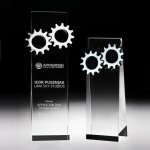 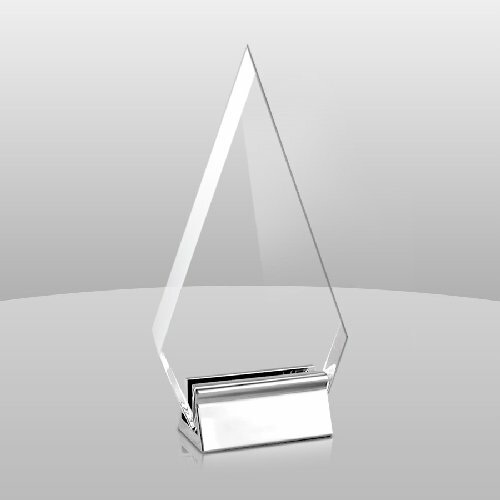 The Fulcrum Award is a clear acrylic faceted arrow that is attached to a chrome metal base. Perfect for any recognition or award ceremony, including sports, corporate or educational applications. 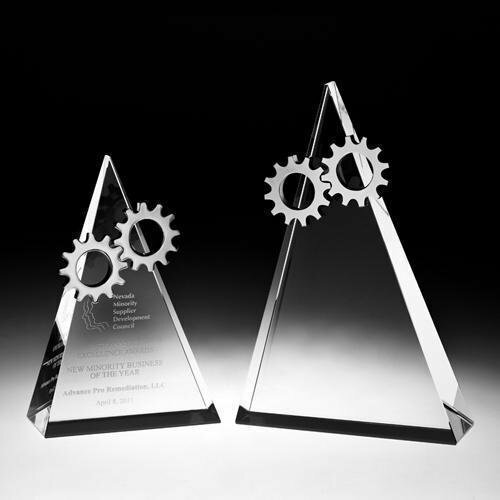 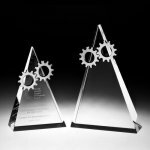 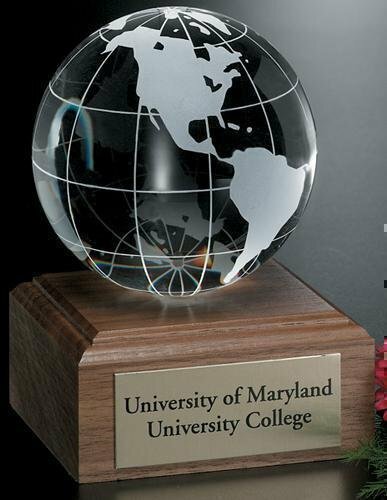 Commemorate the recipient's achievements with the Gear Top Triangle crystal award. 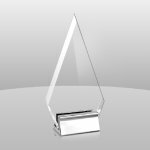 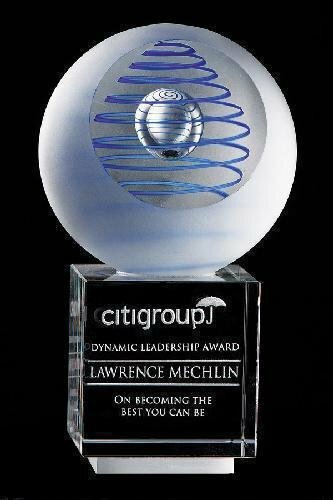 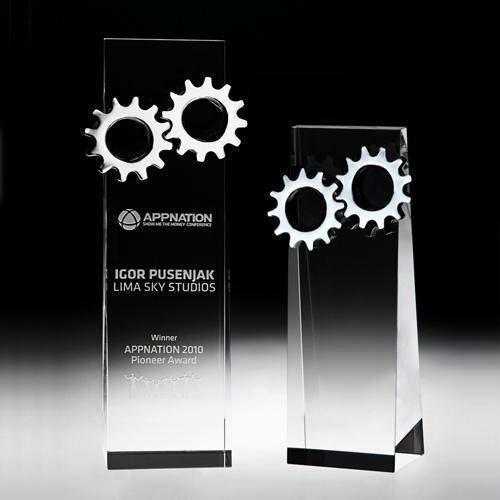 This superb gear crystal award is sure to impress all those at your award ceremony.